H. Wallis Ltd is a family business and has been established for nearly 150 years. 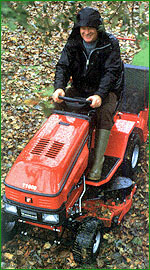 For the past 40 years we have specialised in the Selling, Servicing and Maintenance of Estate and Garden Machinery. We have competent and friendly sales staff who will be able to answer any of your questions and advise you as to the most suitable machine for your requirements, be they large or small and would be happy to survey your garden if you are unsure as to what machine is appropriate for you. 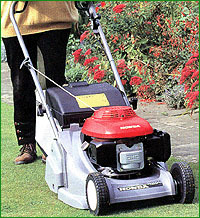 We offer a wide selection of domestic and professional machinery from 16inch/ 41cm rotary walk behind mowers through to 48inch/ 120cm ride-on tractors with various utility attachments; cylinder mowers, brush cutters, hedge trimmers, chain saws, leaf blowers and collectors, chipper/ shredders and tillers, most of the afore mentioned are on display in our showroom. We stock a wide range of high turnover spares such as spark plugs, blades, belts, filters etc and have access to spare parts for virtually all makes and types of machine. Our computerised ordering facilities allow us to supply the parts you require within a few working days. We have an experienced and well trained servicing team who maintain and service your machinery to the highest standards. We offer a collection and delivery service for machinery you are unable to bring to us. For more information please do not hesitate to contact us using the details below.